Courtesy of Keller Williams Palo Alto, Sophie Ravel. 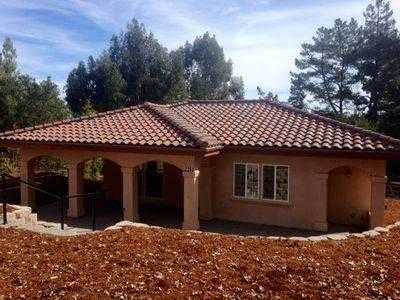 Great location close to Stanford university and easy access to 280 and Pagemill Rd business center. 1.34 acre of land. Updated 4 bedrooms 3 baths with 2 car garage. 4 years old detached cottage which has 2 bedrooms – 1.5 ful bath, beautiful kitchen ad laundry facilities. Beautiful views. Property is located on top on Gerth Lane with great surrounding views. Both properties are tenant occupied with lease ending this year. Do not walk the property without an appointment. Palo Alto Schools. Please, send me more information on this property: MLS# ML81737658 – $4,498,000 – 2265 Old Page Mill Rd, Palo Alto, CA 94304. I would like to schedule a showing appointment for this property: MLS# ML81737658 – $4,498,000 – 2265 Old Page Mill Rd, Palo Alto, CA 94304.